How Soviet Russia, once a world superpower, fell and caused the end of the USSR. Communism was only part of the problem for the former Soviet Union. The Union of Soviet Socialists Republics or “USSR” was formed under the control of Vladimir Lenin but the man most associated with the power of the former Soviet Union is Joseph Stalin. Stalin was able to work his way into power after the death of Lenin with a method that he would become famous for using throughout his reign over the USSR; he consolidated his power and was ruthless against his enemies. During World War II, Soviet Russia maintained a fragile truce with the capitalist West, if only so Stalin could fight what he perceived as the bigger threat — Hitler and the fascists of Nazi Germany. In Rise and Fall of the Soviet Union 1917-1991, it becomes clear that it was the first invaders to march down the streets of Berlin were members of the Soviet Army . The Cold War increased in intensity as scientists from the United States and the USSR raced to create an atom bomb. While the Americans technically won the race, it was not long after the unveiling of the atomic bomb that Soviet scientists achieved the same success. This was the beginning of the greatest arms races to date, as pointed out in The Soviet Union and Eastern Europe. Many felt the fate of the world was to be decided between the two remaining world powers: the United States and the Soviet Union. The Soviet Union amassed the largest collection of nuclear weapons in the world, which meant the state had the ability to destroy the world several times over. However, the amount of money needed to be competitive in the nuclear arms race vastly out paced the taxes brought in by the government. Richard Sakwa in Rise and Fall of the Soviet Union 1917-1991 writes that a resulting depression throughout the Soviet states would ultimately become its undoing. Unrest spread, citizens grew hungry and restless. 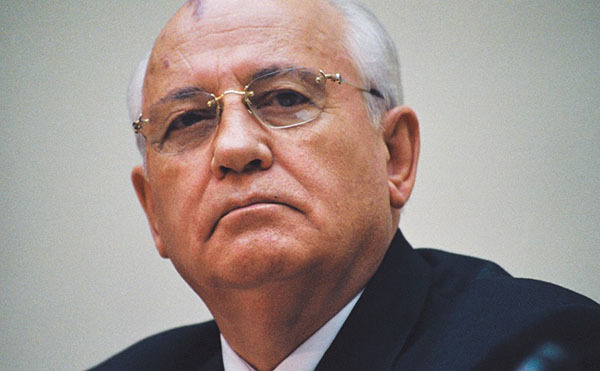 Many consider the rise of Mikhail Gorbachev to General Secretary as the point that would mark the beginning of the end for the place that was once a fertile nest to revolution and new ideas. For 28 years, the Berlin Wall represented the Iron Curtain. The wall, which separated East Germany from West Berlin, was built to prevent fascist influences from corrupting the communist economy that Soviet Russia had created, according to The Soviet Union and Eastern Europe. That Iron Curtain, which had done well to separate the east and western powers for so long, fell in 1989. Stalin saw the Soviet Union through the most epic and controversial days aside from the fall of the Berlin Wall. Once the wall was dismantled, a series of political events throughout the former Soviet Union signaled the downfall of one of the world’s most influential superpowers. For instance, Gorbachev’s new policies and ideas opened up a vast new amount of knowledge to a people who were used to the rigorous censorship of the government. “Glasnost,” as it was called, freed access to vast amounts of information. But it was the defeat in Afghanistan that marked the true loss of might of the once great Soviet Union; sheepherders and peasants had caused one of the largest militaries in the world to turn away. Soviet Union history introduced the world to communism as a functioning government, as opposed to just a political theory. Soviet Russia is defined by its communist years and gave rise to an era of communism. On December 9, 1991 the Union of Soviet Socialists Republic was officially dissolved, ending the run of the oldest communist state in history. It was the end of the USSR; communism and communist economies, on the other hand, are still alive and well.